This past weekend many attended the 13th annual Celebrate the Art of Recovery Expo (CARE) in downtown Phoenix. What is the Celebrate the Art of Recovery Expo (CARE)? CARE offers positive solutions to anyone facing challenges with alcohol and drugs. CARE gives people the opportunity to be well-informed about addiction to alcohol and drugs, and the many pathways to recovery. Many organizations that provide recovery services participated and helped educate attendees about their options, including Terros Health. The pathways to recovery for individuals with mental health and substance use disorders are not always smooth, but building resilience makes it possible to navigate setbacks and sustain long-term recovery. Resilience refers to an individual’s ability to cope with adversity and adapt to challenges or change. Resilience develops over time and gives an individual the capacity, not only to cope with life’s challenges, but also to be better prepared for the next stressful situation. Individuals in recovery (and their families) can build resilience by developing social supports. Social connection is a critical component for resilience and recovery. 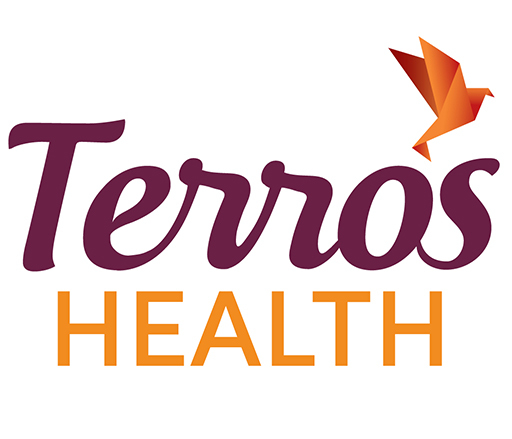 At Terros Health, we emphasize this crucial aspect by building support groups at each site tailored to the needs demonstrated by patients and their counselors at those sites. Peers are a vital part of this work and help build a sense of community and belonging. Peers support specialists are individuals with an authentic lived recovery experience who have been trained and certified to offer support to their peers who are beginning or in the midst of a recovery journey. Peer support upholds one of the science-based whole health and resiliency factors: a meaningful support network. Trained peers learn the importance of human connection for whole health resilience and self-management, particularly for those living with both chronic physical and behavioral health conditions. Using support groups led by peer facilitators creates a space where participants experience the healing power of knowing that they are not alone in their recovery journey. They guide participants as they create a whole health goal through person-centered planning and embark on whole health behavior change. Research indicates that isolation increases stress, negatively affecting health. Building a community of peer support promotes resilience, activating self-management for better health outcomes. Coming together to support each other, whether one-on-one or in support groups, is an important strategy to handle stress and boost resilience among peer providers and those they serve to get on and stay on the path to recovery. If you have private insurance, call your insurance. If you have AHCCCS, please call Mercy Care (AHCCCS and Medicaid recipients), 1-800-564-5465. National HelpLine: 1-800-662-4357 Provided by SAMHSA, a free, confidential. 24/7, 365 day-a-year treatment referral and information service, in English or Spanish, for individuals and families facing mental and/or substance use disorders. Mental Health America of Arizona, mhaarizona.org, 480-982-5305.